African Environments signature climb….we do this the best! 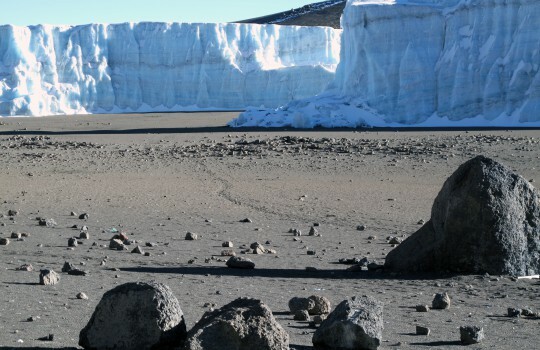 This very successful itinerary allows the most time for acclimatization and therefore has the greatest summit success rate. 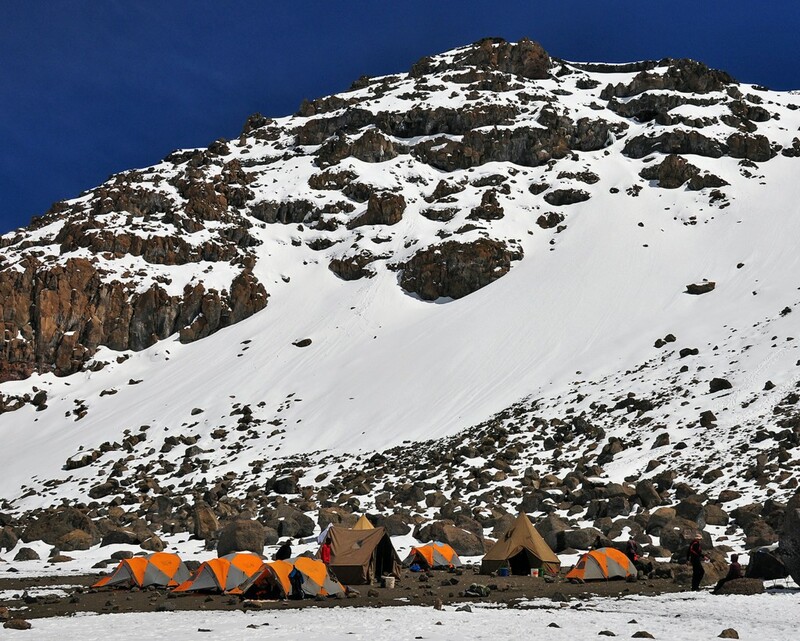 The extra night at Lava Tower gives the body even more time to acclimatize to the altitude gradually, greatly increasing summit success rate and comfort. The route has the added benefit of traveling across the Shira Plateau; a World Heritage Site and one of the Kilimanjaro wilderness areas. African Environments has a private acclimatization camp inside Arusha National Park at the foot of Mt Meru, just a 45 minute drive from Kilimanjaro Airport. 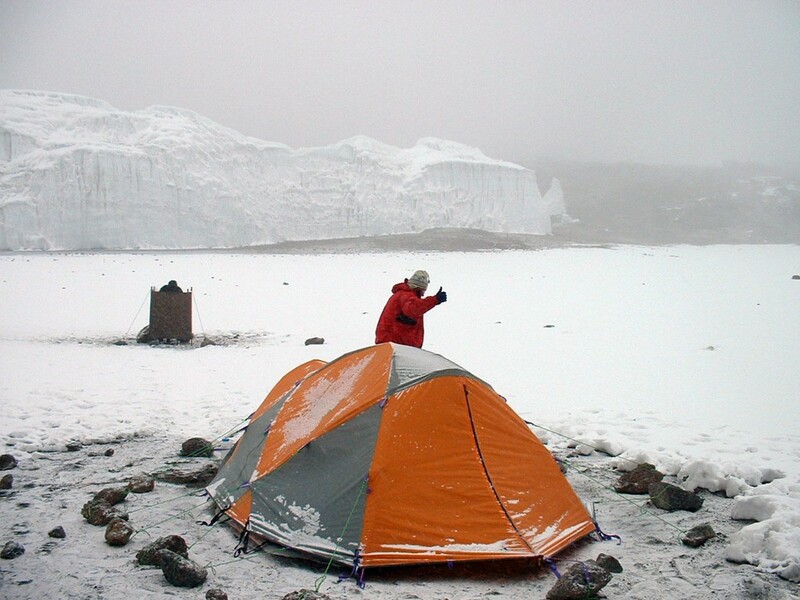 Itikoni Camp is located at 6,500ft making it the perfect location to start your acclimatization for Kilimanjaro. 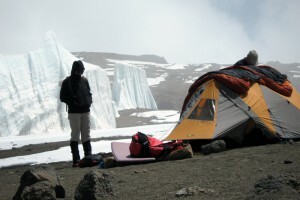 Staying at Itikoni Camp is a great opportunity to get on your hiking boots, stretch your legs, have a whole day to recover from any jet-lag that you may experience from your flight and get to know your African Environments Trip Leader who will help you with your gear check and expedition packing. A transfer from Kilimanjaro International Airport to Itikoni Camp – for the first two nights – will be included in your expedition package, before the beginning of the mountain expedition. After driving approximately one hour to the Kilimanjaro National Park forest edge we walk about three hours through the undisturbed forest to our camp for the night. With luck you will be able to see colobus monkeys and signs of elephant and other forest wildlife on your walk to camp. Taking our time walking through the forest will help us spot some of the plentiful game and bird life. 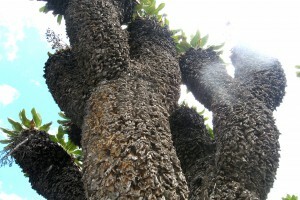 The day’s hike will take us up through the Montane Forest and the Hagenia forest zone. You will see the unique environmental differences that characterize these equatorial zones. Our hike today will be about four hours across the Shira Plateau, a World Heritage Site, and one hour up the western slope of the Kibo Massif. Camp will be in the upper heath zone in full view of the Western Breach. Today we will hike approximately six hours to camp just under Lava Tower, a 300 foot high volcanic lava plug that juts out of the side of the mountain. This will be our first introduction to the alpine zone, with the only plant life being the hardiest of grasses and lichens. We will have a spectacular view of our final ascent route up the Western Breach. This second day at Lava Tower is an acclimatization day. Have a relaxed morning, eat lots of food and take an acclimatization walk in the afternoon. This hike, which will go part way up the ascent route is very helpful in ensuring that you will be ready to head to the summit plateau the next day. With the Western Breach ascent route in full view we will spend two hours climbing to the base of the route where we will camp near Arrow Glacier. An afternoon hike further up the route before relaxing in camp will help our acclimatization and improve our performance the following day. We will wind our way up the Western Breach non-technical climbing route for about six hours to the crater rim of the main Kilimanjaro massife. Everyone is encouraged to explore the inner crater and the ash pit before moving to our highest camp on the crater floor. This spectacular high camp is next to the Furtwrangler Glacier with stunning views westward toward Mt. Meru and the setting African sun. 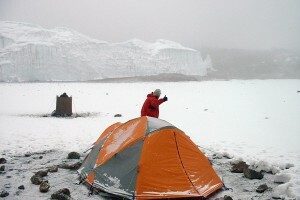 We will start our ascent to the summit (19,340′) early enough in the morning to be on the summit by 10:00am. This final ascent is only 800 feet and can be undertaken after sunrise and a leisurely breakfast. This is quite a contrast to the 3,000 foot slog required to summit via all the other ascent routes on Kilimanjaro. After taking in the view from Uhuru Peak we will begin the long descent to Barafu Hut and down to our final camp near Mweka Hut. It takes about three to five hours to make the 4,500 foot descent to the Park Gate and pick-up. We will have our lunch at the gate and say goodbye to our mountain staff before heading to the hotel near Arusha for a farewell dinner and either overnight or a day room and departure. Extend your Tanzanian vacation with African Environments on safari, walking safari or other adventures. 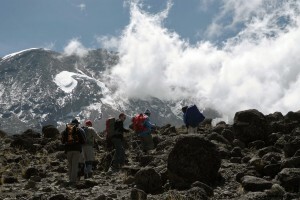 The most scenic and successful itinerary time and money can afford, this is African Environments speciality itinerary. 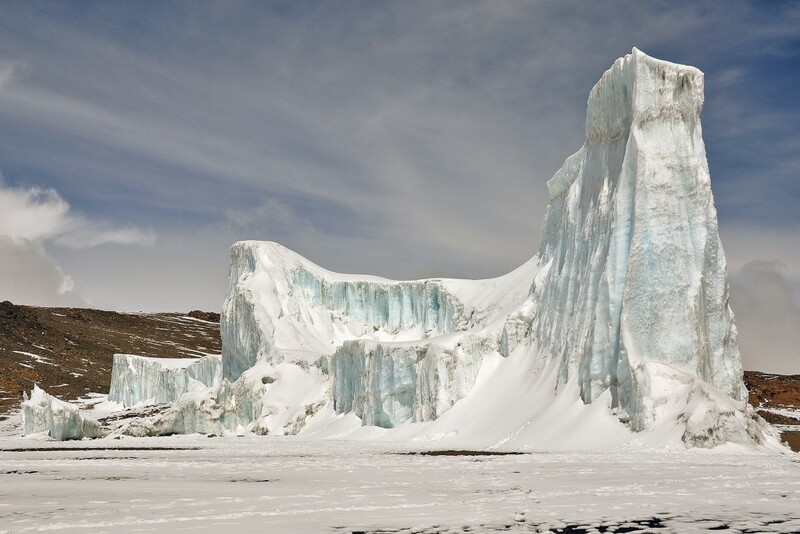 It allows the most time for acclimatization and therefore has the greatest summit success rate. Similar to the 7 night/8 day mountain route, it has a longer, slower ascent with an extra night at Lava Tower. The route has the added benefit of traveling across the Shira Plateau, a World Heritage Site and one of the Kilimanjaro wilderness areas. 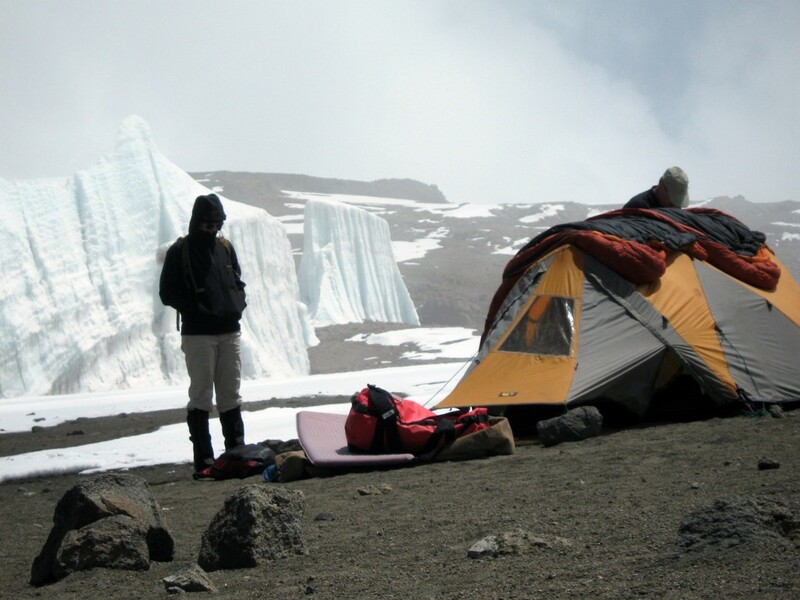 This complete Kilimanjaro itinerary is the most successful trek on the mountain with 98% of the climbers reaching the summit. One of the best features of the route is the longer, slower ascent which gives the body time to acclimatize to the altitude gradually, greatly increasing the success rate. The route has the added benefit of traveling across the Shira Plateau, a World Heritage Site and one of the Kilimanjaro wilderness areas. 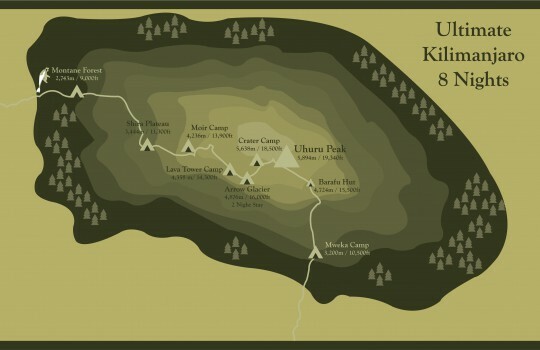 Kilimanjaro’s Machame Route has the advantage that, the summit day goes up and down the same trail (see map below). Allowing each member of the group to climb as high as he or she is able before descending with one of the guides. 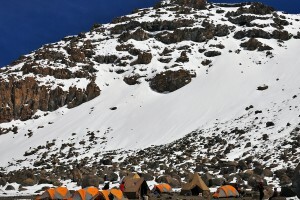 This eliminates the need to sleep in the summit crater, lessening the total number of nights needed for acclimatization. 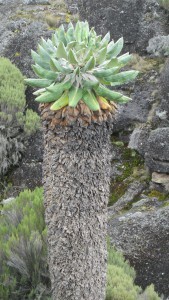 Machame/Barafu passes though five different environmental zones from the tropical montane forests on the lower slopes to the barren scree of the summit. 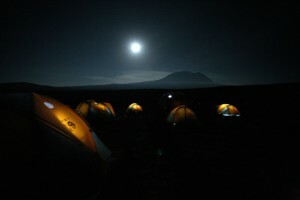 Between Barranco camp, night 4, and Barafu camp, night 6, the route traverses under the huge hanging glaciers of Kili’s steep southern flanks. Arguably the most scenic area found anywhere on the mountain. This is a beautiful 5 night/6 day route following the Machame and Barranco Valleys before making a direct ascent to the Kibo Summit. Only 5 nights on the mountain makes acclimatization more difficult, it helps to have spent two nights at our 6,000 ft private camp on Mt Meru. 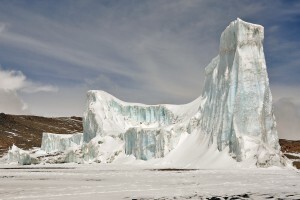 This route traverses under the massive southern glaciers of the mountain offering stunning views of the Southern Ice Fields. The final ascent is up and down the same trail so it has the great advantage of allowing everyone to climb as high as they can before descending with a guide. Add on to any traditional safari and truly experience the wonders of the Serengeti National Park on foot. After your mainland safari experience a completely different pace with Tanzania’s paradise island. Continue your adventure with African Environments on a luxury tailor-made safari. 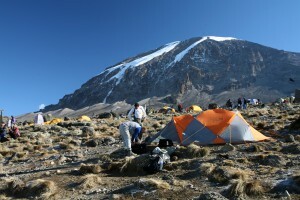 African Environments offers Meru expeditions in luxury and style that will suit all types of climbers. For those as interested to see wildlife on top of a horse as from a 4×4, perhaps they would like to add on a horseback safari. Anyone less confident can arrange day rides around Arusha. Our climbs safaris and adventures are booked through our agents around the world. Please contact us adventure@africanenvironments.com and we will put you in touch with most appropriate agent depending on the type of adventure you are looking for.